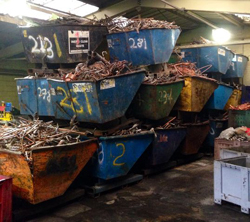 We have a wide range of scrap metal available at our London and Essex sites. 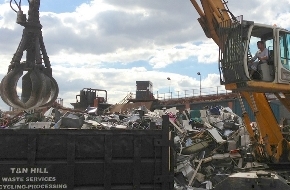 We offer domestic and commercial scrap metal collection in London and Essex. Friendly staff who will work around you for your individual scrap metal requirements. T & N deals with various scrap metals in the centre of London and Essex, and as a family run business we aim to provide the very best customer service for our individual customers. Our team offer a professional and efficient service in London, Essex and the surrounding areas. 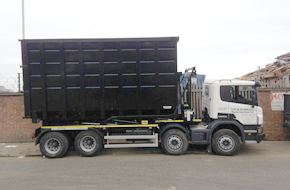 Our waste services deal with non-ferrous and ferrous metals and our scrap metal service offers skips in a variety of sizes from 20 to 50 yards, so if you require further information then visit our Scrap Metal Collection page. We have a team of experienced staff that have been running the company for over two generations, and we have gained vast experience and knowledge to provide our customers with the best service possible for your scrap metal collection. 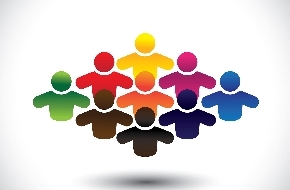 If you require additional information on T & N then get in contact with us today. We are located in central London and also provide our waste services to the surrounding areas when required. Call us today on 020 7473 5444 or 01376 503476 for further details.